There was a pack mentality about some of the commentary that followed the New York Times report into problems in Chinese factories that produce the iPad and other Apple products, that supposedly Cupertino is responsible for. Let's suppose for a moment that is true as Apple indeed accepts a vicarious responsibility: if the company does wrong by its workers or its policies, Apple can apply pressure up to cancelling its orders. 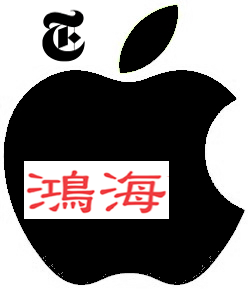 The New York Times article, by Charles Duhigg and David Barboza, titled "In China, Human Costs Are Built Into an iPad", has had a wide circulation with many commentators picking up on the title and the contents of the text, without looking at the wider contexts of China, Foxconn (Hon Hai Precision), and the companies that it supplies. As I wrote on Friday, that article was released coincidentally the same week as Apple's record figures were announced, about a week after it moved the goalposts with its iPad-related iBooks announcements, and less than 2 weeks after Apple itself released its latest Apple Supplier Responsibility document with its list of suppliers. I do not believe that such coincidences exist. I included in that Friday article the thought that I had seen this before somewhere. . . . I have done some digging (in my memory and on the Internet) and one of the publications that carried a similar tale was Wired (Joel Johnson) last February -- a year ago. The main photograph in that article (credited to Tony Law) shows the Foxconn factory and the conditions are in stark contrast to the words, "sweat shop" that some commentators have been using in the last couple of days. There are similar images in the Apple documents that are available online, but Johnson toured the factory when he was trying to answer the question of why there had been so many suicides. What he describes in that investigation is hardly Dickensian. The suicides were below the national average (my italics) and may have come from sheer banality, plus the unfortunate trend (sometimes seen in student groups) that one suicide can lead to another. As mentioned in my Friday comment, following the lead of MacDaily News, the NYTimes article conveniently forgot that Foxconn and the other companies in the China electronics industry, also make products for a lot of other American companies as well as some of those from Japan and Korea. HTC, Lenovo and Sony were mentioned and we also read of HP and Microsoft in other articles. Indeed, the NYTimes article makes no mention of Microsoft at all (it lists Dell, Hewlett-Packard, I.B.M., Lenovo, Motorola, Nokia, Sony, Toshiba, "and others" as having Bleak working conditions . . . documented at factories manufacturing [their] products]). Only at the beginning of the month -- about 3 weeks ago -- there was a mass-suicide threat by workers at the Foxconn plant making the XBox 360 who had demanded a wage rise and been turned down (Kotaku). The plant also makes Nintendo and Sony products. Like Apple, Microsoft dealt with the incident with the seriousness it demanded. Much of the current world economy cannot operate without the workers of China, so it is not about Apple at all. Although you could be forgiven for thinking this if you read that NYTimes article and the following hounds. Putting it in a better context was MacNN who include a lot of valuable links if you are interested in the larger picture, for example the reaction from China which the NYTimes saw and hid. MacNN is rightly critical of the way this was done: almost as if the newspaper was more interested in retaining the effect that the original article was having and thus increasing site traffic. There is a name for this when bloggers do it. Some of those comments from within China made some interesting reading. These were the points of view of perhaps those most affected, not some New York journalists intent on making headlines with an article aimed at a teary-eyed readership that would join in unison and demand that the company, "DO SOMETHING". The best example in this vein have been the response following the articles in the UK Sunday Times in the late 1960s when the Distillers Company denied any wrongdoing over the drug Thalidomide: the shareholders were rightly so incensed with the full story (perhaps concerned that the share price might fall) that they did demand that something was done when the company's legal teams had delayed litigation and awards for families for years. Without denying guilt, the company agreed to make payments for moral reasons. 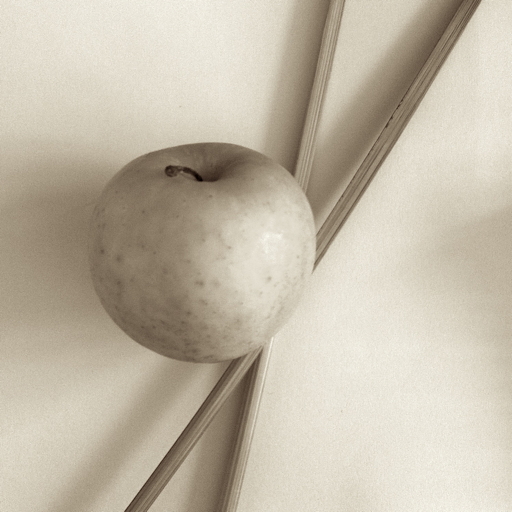 Rather than delay or deny, Apple has already put in effect mechanisms to discover and minimise the effects of erroneous labour practices at any of its suppliers, but none of this is like waving a magic wand. MacNN also mention the strong reaction of Tim Cook. Some, like Rocco Pendola on Seeking Alpha, even tried to make something out of this and he observes that Steve Jobs would not have reacted in the same way, as if the writer was somehow privy to the late CEO's private thoughts. Cook was on the ball here. Saying nothing was not an option and by making an early comment has started the process of nipping this in the bud. As the Apple release gains more circulation (I had real problems actually finding this on any Apple link), so the penny may drop with some. But don't hold your breath. If you remember as part of that approach that was outlined in the Supplier responsibility document, Apple stated it was actively working with the Fair Labor Association. This will conduct independent inspections. Apple is the only such manufacturer working with this organisation. Note the key words there: "independent", "inspection", and "only". Charles Duhigg, David Barboza and the New York Times owe the public and those involved some clarification, if not an apology.